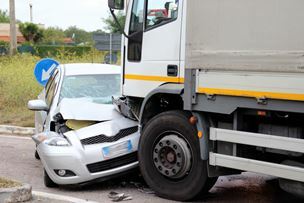 Unfortunately, not all truck accident victims survive the catastrophic injuries they suffer in a truck accident. Coming to grips with the death of a loved one can be much more difficult when the family knows that the tragic wreck could have been prevented. However, families may be entitled to compensation from the negligent truck driver and the trucking company in a wrongful death action. A wrongful death action is a claim for compensation that certain family members of the deceased person can raise against a negligent person or business for causing the person’s death. It is a statutory law, which means that it was created through a law passed by Georgia legislature. This is a different type of claim than an estate claim, which is a claim that must be filed by the victim’s estate to recover his funeral expenses, medical expenses for his last illness, and compensation for his pain and suffering. Who Can File a Wrongful Death Action in Georgia? Spouse and children. If the truck accident victim died leaving a spouse, the spouse would be the only person entitled to file a wrongful death action. If the deceased person also left minor children, the spouse is required to act as their representative as well and share the compensation received with them. However, the spouse is entitled to at least one-third of the compensation obtained. Children. When the victim was not survived by a spouse, surviving children are entitled to file a wrongful death action and split the proceeds received. Parents. When the deceased person had no spouse or children, his parents would be the proper parties to file a wrongful death claim. Estate. The personal representative of the deceased person’s estate would need to pursue the wrongful death action when the person had no surviving spouse, children, or parents. The claim would be brought on behalf of the estate, and the settlement would be split between the heirs either pursuant to the will or Georgia law. What Compensation Is Awarded in Wrongful Death Actions Following a Truck Accident? If you lost a loved one in a truck accident because of a truck driver’s negligence, your case is more complicated because of the federal and state regulations that may have been violated and the general complexities in truck accident cases. In addition, your settlement could be larger due to the death of your family member. This could result in the insurance company fighting harder to deny or reduce your claim for compensation. Let the experienced truck accident attorneys at Chris Hudson & Associates take over the burden of investigating your loved one’s accident, collecting the evidence you will need to hold the trucker and trucking company responsible, and negotiating your settlement for you. We are committed to obtaining the compensation that you deserve and are not afraid to take your case to trial if this becomes necessary. Contact us online or call us directly at 888.795.6261 to schedule your free, no-obligation consultation.